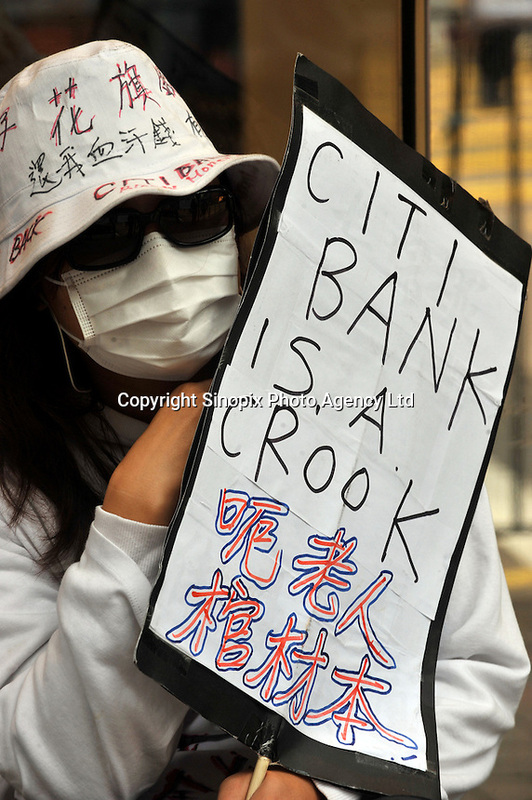 Hong Kong investors demonstrate outside Citibank in Central District, Hong Kong. The demonstrators who lost much of their savings after Citi sold them financial products backed by Lehman denouncing Citi as a "devil bank" that "swindled us out of our life savings. ".